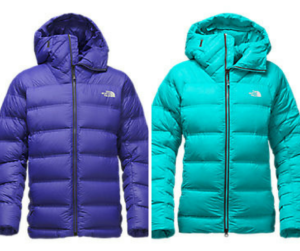 The North Face (TNF) Summit Series was first launched in 2000 as pinnacle products for outdoor athletes. 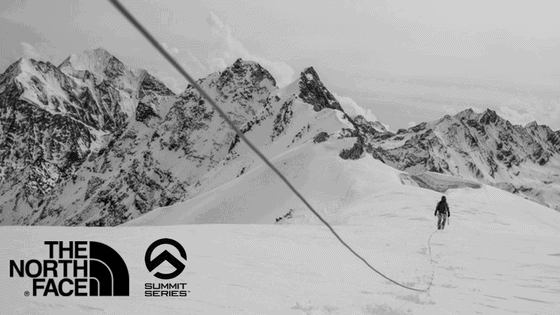 The Series has changed a lot over the past 17 years and has morphed into a tight collection focused on using the best technology and materials to make the world’s finest alpine equipment for climbers, mountaineers, and backcountry skiers. 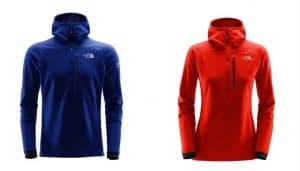 Read all about how amazing The North Face Summit Series is then come into Tahoe Mountain Sports in Truckee, California to try it on and add to your winter gear kit. 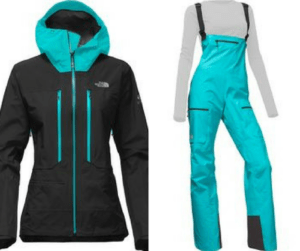 The North Face Summit Series Collection in bright mountain colors for safety and protection. Honest Function – In a world where speed is safety, every ounce and every function need to be considered. This determines the design, the materials and ultimately the form of the Summit Series layering system. 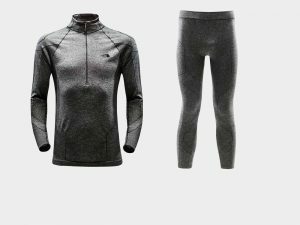 The designers at TNF obsess and labor over these considerations until the interaction with the garment is as seamless as muscle memory. Amplified – Amplifying the purity and function when designing equipment is about omitting what is not needed and uncovering the pure intent. This communicates trust. Visual and functional distractions create uncertainty. Uncovering the significance of why something exists and how it functions is at the core of the TNF design process. Kinetic Alpine Fit – Driven by the range and physical demands of mountain pursuits, kinetic fit addresses the needs of a body in constant motion. 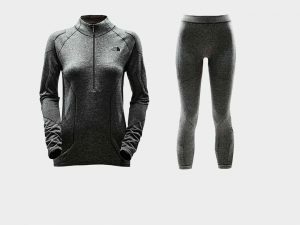 Product – The North Face Summit Series gear pushes the limits of what is possible and supports every need the athlete demands. 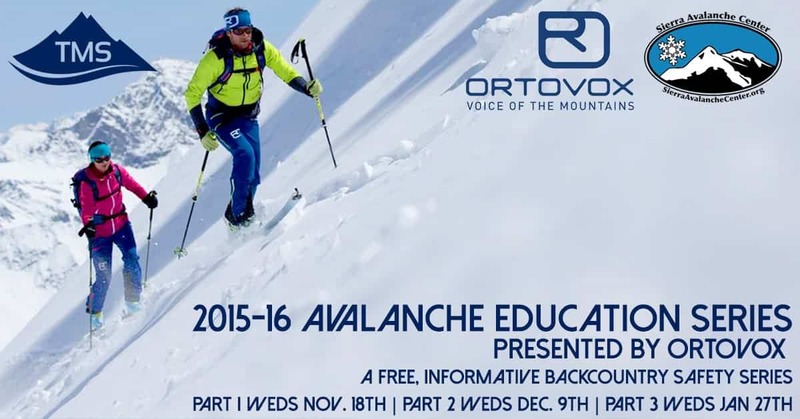 Mountain Colors – Disruptive colors on the mountain have always served a visual purpose. The spectrum of color in the collection is deeply rooted in the heritage of mountaineering and The North Face saturation and contrast colors trigger safety and protection. 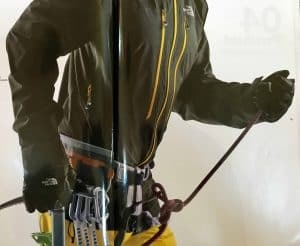 Mountain Systems – A complete range of products designed for mountain professionals, guides and athletes, for any range, route, condition or altitude and any discipline from Expeditions to Alpinism. The one piece you won’t take off until the mission is complete. This base layer is engineered with minimal seaming and delivers targeted warmth for superior comfort and mobility in the harshest alpine environments. The Summit L3 Down Hoodie is the ultimate alpine mid layer. This lightweight, 800 fill down jacket delivers exceptional warmth with unrestricted freedom of movement. It has a helmet compatible hood, waist cinch cords and easily stows in the hand pocket. 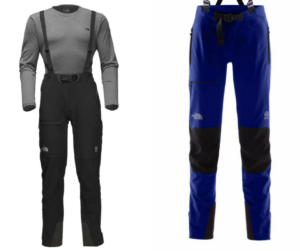 The Summit L4 Soft Shell Pant is a versatile stretch woven soft shell pant with articulated knees that provides durable protection and total freedom of movement for any alpine mission. You can see the durable double-weave fabric on the knees and seat. The 8″ side zips feature a stretch panel insert and snap closure at the ankles, which makes it easy to expand over various types of boots. Men’s and women’s versions both come in black and Inauguration Blue. The fifth layer is e a highly waterproof and breathable three-layer Gore-Tex membrane and localized Fuseform construction mean that this is the ultimate protective layer. There are a few options to choose from depending on your activity. When the weather window is short a fast and light approach is required. Weight, breathability and comfort are paramount. 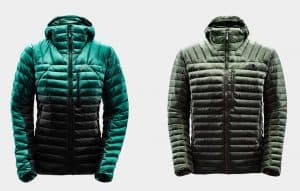 The Summit L5 Fuseform GTX C-Knit Jacket is optimized to feel soft and offer full protection while being lighter and more breathable. For alpine objectives that require both weight consciousness and durability, we recommend the innovative Summit L5 Fuseform GTX Performance Jacket and matching pant, Summit L5 Fuseform GTX Performance Pant, which features waterproof, breathable Gore-Tex 3L. 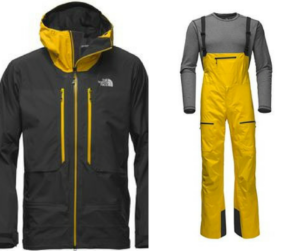 And for the most extreme of adventures from teh Alaska Range to the Khumbu Icefall, we recommend the premier Summit L5 GTX Pro Jacket and Summit L5 GTX Pro Bib. This jacket and pant kit delivers the highest level of durable, waterproof, breathable protection to inspire the confidence you need to press on in the worst of conditions. The Summit L6 Down Belay Parka is the ultimate down parka for extreme cold. Constructed with an innovative baffle technology that eliminates seams, increases durability and delivers targeted warmth through varying baffle sizes. As I mentioned above it’s the materials and meticulous attention to function that make Summit Series the premium line that it is. Here are some of the materials that go into the some of the pieces mentioned above. GORE-TEX – This shell fabric is designed to provide superior comfort and durable, waterproof protection for a wide range of outdoor activities. The GORE-TEX revolutionary patented membrane technology is specifically engineered to form an impenetrable barrier against wind and water while maintaining breathability. Ventrix – Cutting edge dynamic venting insulation layers that activate with movement and work in combination with highly wind permeable fabrics. 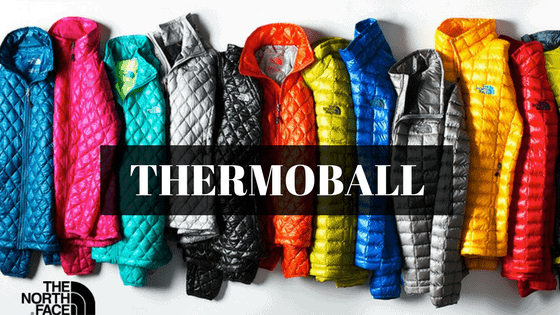 It sets a new standard for comfort in a broad range of activity levels, radically balancing warmth and comfort. FuseForm – TNF proprietary FuseForm construction is revolutionary weaving process that blends lighter, lower-density fibers with thicker, more durable fibers in high wear zones, effectively reducing overall weight and crating a seamless transition from tougher to lighter zones. Polartec – Polartec Hardface fleece delivers body-hugging, four-way stretch that is extremely breathable and provides unhindered mobility. The durable hardface outer layer is wind and abrasion resistant while the engineered inner layer is mapped with varying thicknesses and grid sizes for targeted warmth. Thermolite – this technology provides lightweight warmth with excellent durability. It’s hallow-core fibers are engineered to trap body heat, and their larger surface area allows for faster evaporation by speeding moisture away from the skin to the surface of the fabric where it can evaporate more quickly. TripleBaffle – Engineered baffle construction that eliminates traditional stitching to minimize cold air and wind penetration. An offset baffle orientation offers overlapping zones of down insulation for increased warmth. Stop by to check it out or click one of our affiliate links above to buy online. 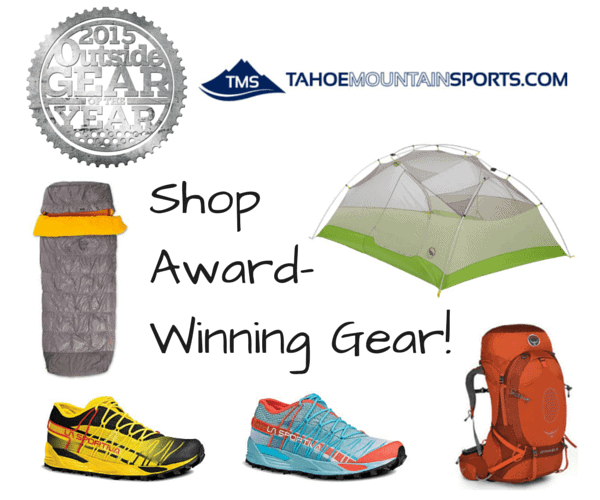 Join The North Face Athlete Conrad Anker at Truckee Opening Party!